This post feels like a long time coming, I had this idea back in February when I first picked up my new phone and today I'm FINALLY showing you the content on my phone. For a while my phone was TOO boring for me to show you anything, at time it's been too messy and since the content, apps or other things have changed in the last couple of months, I thought it was now time for this phone to have it's place on my blog. So what's on my phone? Apart from hundreds of photos and too many what's app messages, a whole tone of apps. With my apps, I tend to download them and test them out for a few weeks. Normally if they're used constantly within that time period they stay and if they don't, they go. Simple really. This isn't down to any fussy behaviour or weird habits I have, last year I owned another iPhone and the memory ran out instantly so my instinct is to delete things to save memory. Any-who, let's get into it. facebook & messenger || well everyone has facebook don't they? Well almost everybody at least. I use this mainly to keep connected with friends, this is possibly the only social media which I keep separated from my blog. I'm constantly taking photos with friends and this is the place I share them all. Well someone has to be the keeper of the memories and if you're my friend and looking for certain photos you'll be sure to find them on my page. I also have the messenger app on my phone, for those just in case moments when I need to chat to people who I don't have numbers for! twitter || now this is where the majority of my blogging socialising happens. 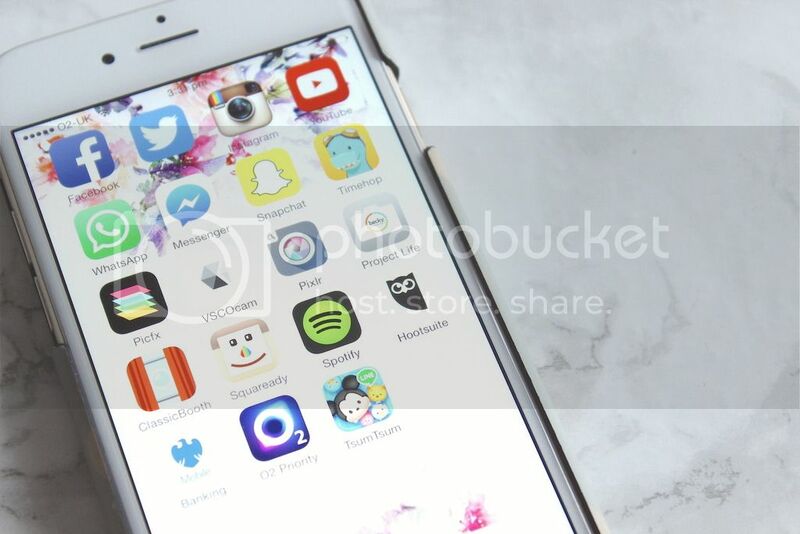 I've met so many people through this handy little app and spent so many hours using my phone during blogger chats. This app is possibly the most used on my phone. This is the place where I ask and offer advice, shout out for opinions and the site which is constantly spammed with the link to my latest posts. I've made best friends through this and twitter, I thank you fully for that. instagram || I ADORE photos, I love capturing and sharing them. Not only my photos but I love looking through other peoples. I love seeing the way people spend their lives and the way they decide to capture those moments. Plus photos are pretty!! I have TWO separate instagram accounts, my PERSONAL and BLOG pages. snapchat || I've had this app on and off for a few years, I love adding things to my story but I don't use this too often, however, I like to use this when I'm a little bored or I'm doing something fun. I also love to use this to follow youtubers and celebrate who have public snapchats mainly because it's nice to watch them through difference platforms. whatsapp || you're all aware of whatsapp. Free messenger app and it's pretty perfect let's be honest! I don't use this to speak to everyone. I'll either text or whatsapp people. 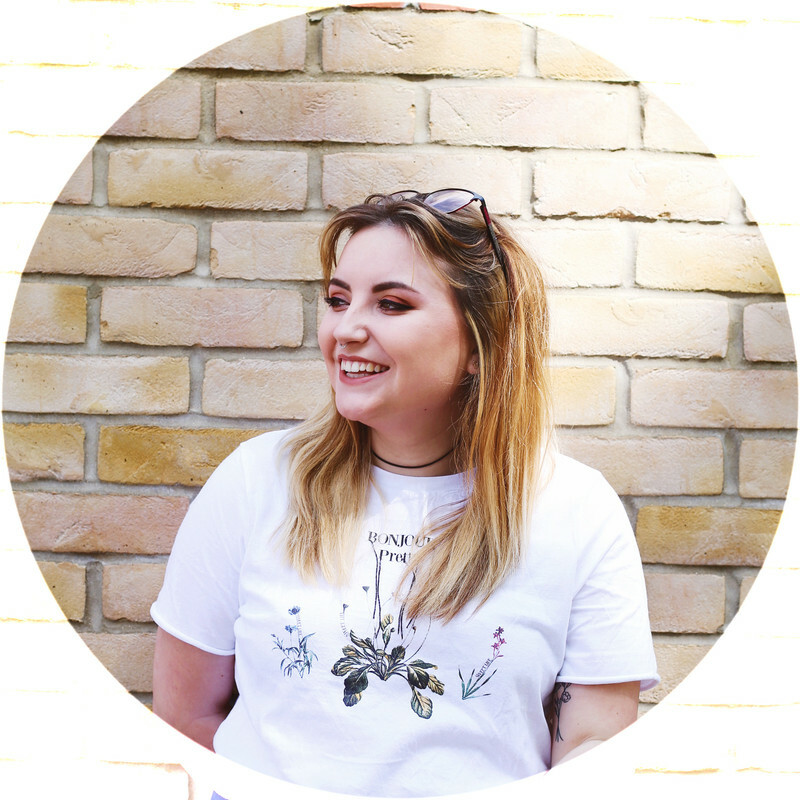 My main reason for this app still being on my phone is because of my group chats with my best pals and my favourite blogging girls. timehop || We know my love for photos and memories, blah, blah! Well this app is practically perfect for me. Each morning when I wake up I check my phone and this is the first app I'll check. I love seeing what I was doing on the exact date for the last couple of years. It's connected to my facebook, twitter, instagram and computer...so I have memories from every direction, PERFECT! To go with my social media obsession comes my photography. And while my phone has AMAZING MP for a phone, it's not exactly on point for every photo so this girl needs her editing apps. And let me tell you, Im finally using this the way I want too & feel I'm getting some pretty pictures. picfx || If I'm correct I think I purchases this app, and if I did it was no more than £1. I'll rarely pay for apps but this has been on my phone for years now and I still use it ALL the time. Basically you add a photo and add effects. Layering up different effects and you're able to change the strength of them too. So you can create you're perfect photos. vscocam || I'll be honest, this has been on and off my phone for almost a year. People create some beautiful photos with this app that I reinstall it each time and hope to get the hang of it..but I don't. Either my photos are too dark for them to take the edit or what. pixlr || This photo editor you can actually use online too, so that's handy for everyone! Lately this app is only used to create collages for my photos. However, you can create collages, change photos settings (contrast, brightness etc). and also add effects and edits to your photos. Overall this is a perfect photo app, I just find myself using picfx beforehand. project life || If you read my latest project life post (here) you'll have read that I suggested if you were to start a project life, this app would be handy to prepare your phone photos for printing and that's really all I use this app for. Collages two photos together or making sure 6x4 photos are actually the right size before printing. classic booth || I'm OBSESSED with this little app. It basically creates photo-booth style prints. I'm yet to find a photo-booth which prints out a selection of photos like a strip...I just seem to have standard passport photo-booths, which isn't exactly exciting!? It allows you to choose 4 different strip formats and once the photos are taken you can brighten/darker, add effects and frames to photos. I like to put these on my computer and print them to actual photos strips using photo paper too! square ready || Sometimes when uploading photos to instagram you don't want a box size and this app allows you to have them full length, simple. I've stopped using this so much as I like to keep my photos to box sized photos lately (but that could always change by next week)! spotify || I can't go a second without listening to music, right now I've got a playlist playing through spotify and for almost a year now spotify has been that app for me. Both on my phone and computer. Mainly for ease as I can create my own choices & find other peoples playlists without worrying about costs or downloads, perfect. hootsuite || Sometimes when I'm working I want to be able to know my posts are getting read even when I'm not there to promote them for myself and thats when this app come in handy, prepare myself and have my latest blog post being promoting while I'm working away. I just find the actual preparation and writing of the posts to be sent out every couple of hours to take forever. barclays banking || During university I didn't keep track of my bank account. Pretended I had money until my next loan payment. Now I'm in the big wide world, earning my money and spending it practically straight away. I like to keep this app on my phone just so I can check my balance when I think I'm going a little over the top with spends. O2 priority || I've been with O2 for a year now and it's taken me until this month to download this app. (Mainly because they had an offer of free popcorn at work & I NEEDED it). If you're a member of O2, sign up and keep an eye out for any local or non local offers, discounts or early release of tickets. tsum tsum game || Okay so I'm obsessed with Disney (always have been) and a few weeks back I found out about this game and I've been HOOKED since. You connect the matching disney characters and the more you connect the more points you gain. It involves collecting coins and rubies, which then can later be traded to gain more tsum tsum characters to your collection. I've also become obsessed with collecting the tsum tsums from the disney store. And there you have it, the contents of my phone. 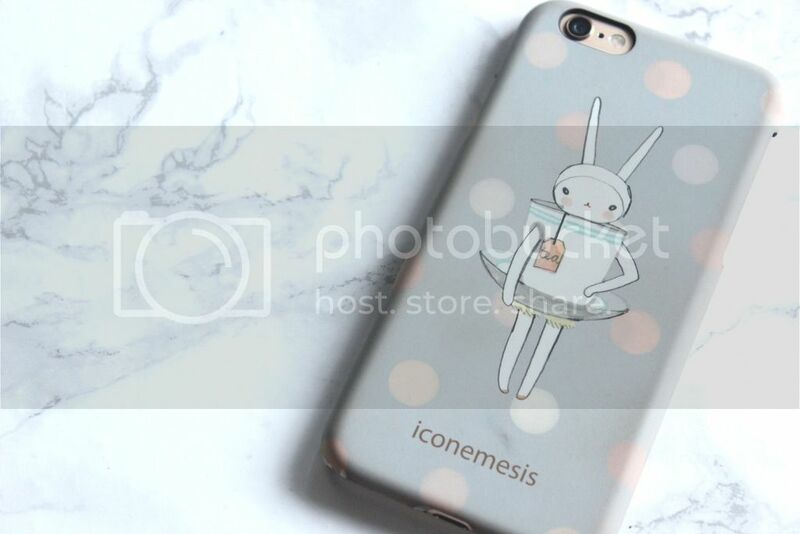 I finally took the decision to create this post after receiving this beautiful iPhone 6 case from ICONEMESIS. Who have a range of brilliantly different cases, some designs I wouldn't find elsewhere. Sadly some of the colouring has begun to peel from the case, however it's just in the corners and hasn't become to damage the main design. So thank you iconemesis for the case, it's been keeping my phone protected for a few weeks now, I also can't wait to pick up a few more cases from there site soon. I've always wanted to do one of these posts, but I do have some strange apps haha. I mainly have food ones, and of course social media! We have a lot of the same apps and ooooh I never knew there was a Tsum Tsum app! I like this kind of posts because I always learn of some new apps I should get! That case is SO cute!!! I love these posts because I am super nosy!! I know exactly what you mean about VSCO cam, I feel like you'd have to spend a lot of time fiddling around with it to get the result you wanted! That Tsum Tsum game sounds adorable! 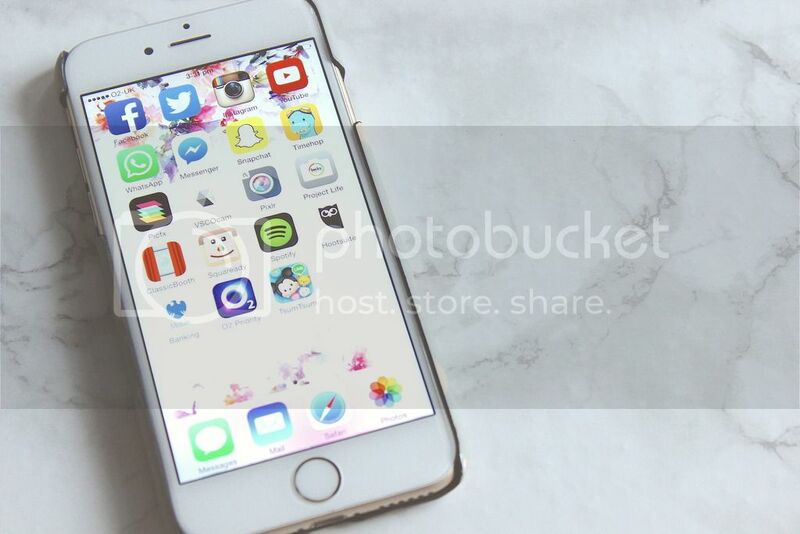 I love your phone case and that background! Wonderful post, I used to dislike VSCO Cam too but now I have to say its one of my favourite editing apps. I use the library as a preview to my Instagram so then you can see what the images look like next to one another before actually posting them! Aside from that, I tend to just use the tools built into Instagram. Hope to see Veleza app on your phone next time :) This is a skin care app I am working on. Would you like to try it?